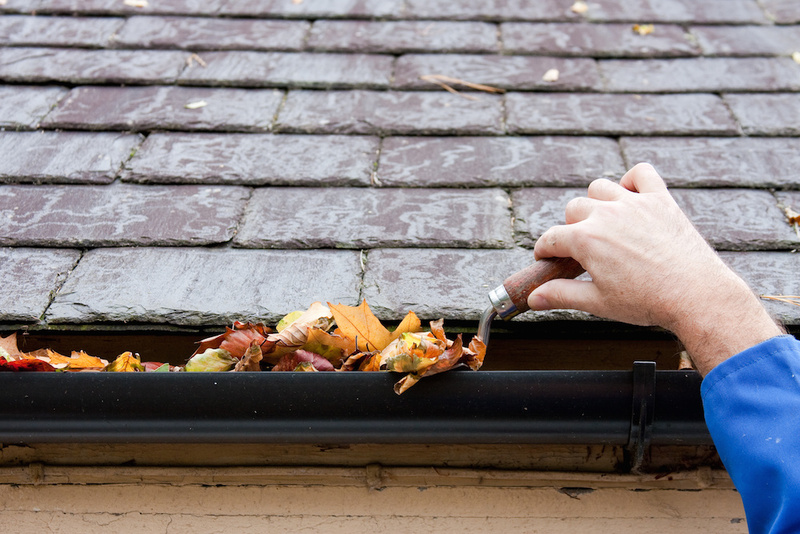 Cleaning gutters, there’s just something about the wet smelly leaves, sticks, dirt and bugs that most people think is gross. There’s also the fear or getting up on a ladder or the roof—along with the real danger involved with cleaning and maintaining your gutters. The seamless gutter design helps the water and any debris flow without getting hung up on seams. Unfortunately even the best planned and installed seamless gutter system will require a check up a couple times a year as well as some cleaning. By getting out a ladder and looking into the gutters you should be able to see if there is any leaves or tennis balls stuck in your gutters. Of course not everyone should get on a ladder and most just don’t want to spend their free time on such a dirty task. Advanced Seamless Gutters is Southwest Florida’s largest company dedicated to seamless gutter installation and maintenance. All our clean and seal services include removing debris and resealing all the corners. We also include a FREE 1 year warranty against leaks, even if we didn’t install originally install your gutters. So leave the ladder in the garage and give us a call. We’ll send someone out and take care of the dirty task. We are also a Top Angie’s List contractor. So check out our reviews or give them a call. Chances are you have seen this ad, and if you call Angie’s List they will refer you back to us!